You can save up to £90 with our prepaid group class packages. Have a look, there are several packages available for each class level. If you’d like to buy a package now, simply click on the links below. Private Class Packages you are after? Please click here. 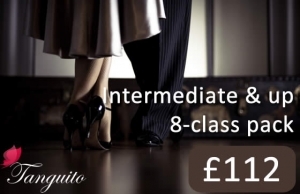 We know you are busy tangoing bees, so we’ve kept our group class packages very flexible. 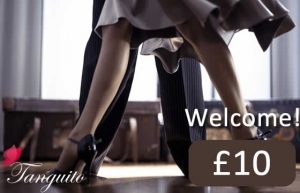 Beginner & improver classes are 60 minutes and are all followed by a practica or milonga so that you can practice the moves you’ve learned. For payments, we use Paypal; it’s secure and you don’t need to give your credit card number. Don’t worry if you don’t have a Paypal account, you can use any debit/credit card including Visa, Mastercard, Amex, etc. Our T&Cs are here.